Romelu Lukaku equalled Everton's Premier League scoring record as he netted in a 2-0 win over Sunderland at Goodison Park on Saturday. The striker moved level with Duncan Ferguson on 60 league goals for the Toffees when he scored in the 80th minute. Earlier, Idrissa Gueye scored his first Premier League goal to give the hosts the lead, firing home towards the end of a first half that Everton dominated. 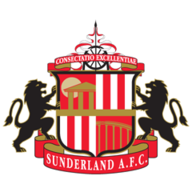 Sunderland threatened a response after the break and went close to equalising when Jermain Defoe saw a shot strike the bar and bounce down on the line. But moments later Lukaku wrapped up the win for Everton, who are now unbeaten in nine league matches. Sunderland, meanwhile, remain rooted to the foot of the table and are three points from safety after Crystal Palace's win against Middlesbrough. Ronald Koeman says Everton had a lucky moment when Romelu Lukaku scored the second goal in their win over Sunderland. Having conceded six on their last visit to Goodison Park, it was little surprise that the Black Cats opted for a defensive game plan from the start. It almost unravelled early as Jordan Pickford - back in goal for the first time since Boxing Day after recovering from injury - fumbled a shot from Ademola Lookman and had to recover quickly to stop it rolling in. Otherwise Sunderland largely kept Everton at bay, with Gueye going closest for the hosts with a shot from a tight angle that Pickford saved. Former Everton defender Bryan Oviedo saw an effort deflect wide at the other end after a rare Sunderland attack. But the hosts did take the lead after 40 minutes when Tom Davies picked out Coleman with a fine cross-field pass and he rolled it on to the penalty spot for the on-rushing Gueye to fire in first time. The lead was nearly doubled before the break as Ross Barkley saw a shot from 25 yards saved and Davies struck the post with an effort from the edge of the box. Everton lost their grip on the game after half-time and Defoe had an effort blocked as Sunderland started to offer more in the attacking third. Brave Bradley Lowery was reunited with Jermain Defoe as he led Sunderland out for their clash with Everton on Saturday. But they couldn't create clear chances and Everton went close with Barkley shooting wide and then Pickford saving from Lukaku. The pivotal moment came in the 79th minute when Defoe, who had hardly been involved in the match, struck the bar, with Lukaku doubling Everton's lead seconds later after breaking away from Oviedo. Substitute Enner Valencia and Gueye went close to making it three as Sunderland's challenge faded. Matt Le Tissier looks back on Everton's win over Sunderland at Goodison Park. 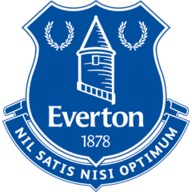 Everton: Robles (6), Coleman (7), Ashley Williams (6), Funes Mori (6), Baines (6), Davies (7), Schneiderlin (8), Gueye (8), Barkley (5), Lukaku (6), Lookman (5). Subs used: Mirallas (5), McCarthy (5), Valencia (5). Sunderland: Pickford (5), Jones (5), Kone (5), O'Shea (6), Oviedo (5), Januzaj (5), Gibson (5), Larsson (5), N'Dong (5), Borini (5), Defoe (5). Subs used: Khazri (5), Manquillo (5), Honeyman (5).